This is one of my favorite breakfast dishes. It’s a great way to get in plenty of protein and healthy fats. Not only is it delicious, the preparation takes under 2 minutes. Really! Pop these babies in while you get ready for your day and let the oven do the work. No stirring, whisking, crisping, flipping, or buttering. Let’s get crackin‘. 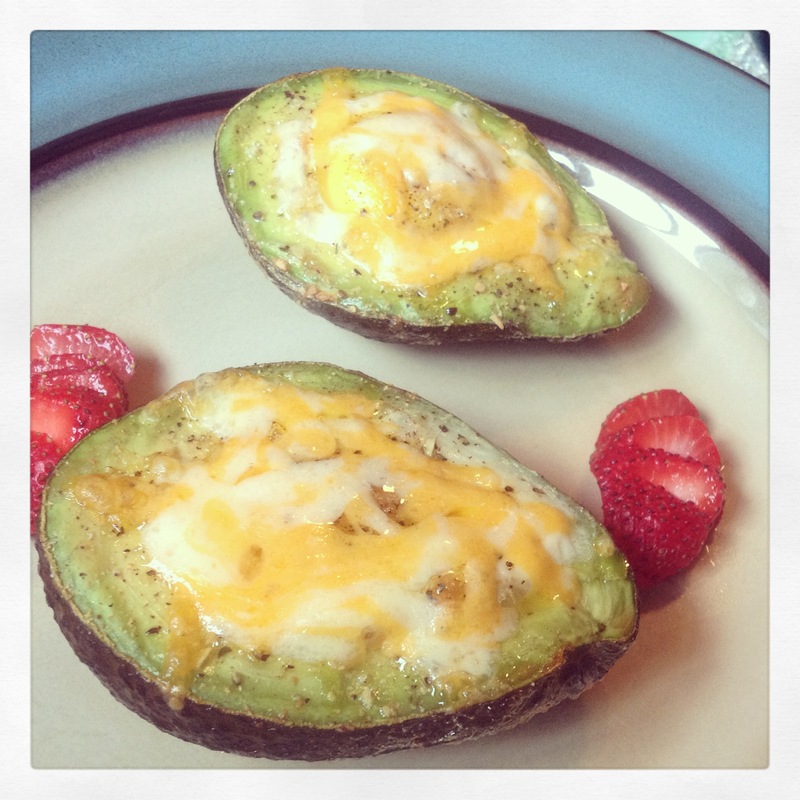 Cut avocado in half. Remove pit. My lunch on a NB storm day!